Mexican is my absolute favorite, how about you? I seriously think we eat it once a week around here. 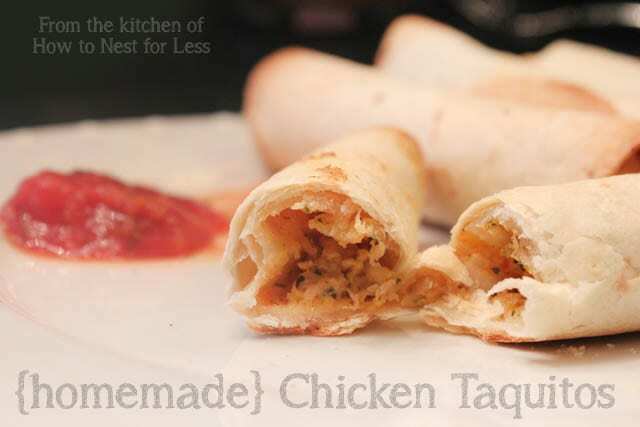 Well today I’m sharing one of my absolute favorite recipes that’s great for dinner or an appetizer… Homemade Chicken Taquitos! This recipe is actually quite easy to make, and it’s healthy version! …ok, not really that healthy. But at least they’re baked! And they’re pretty easy to make, too. 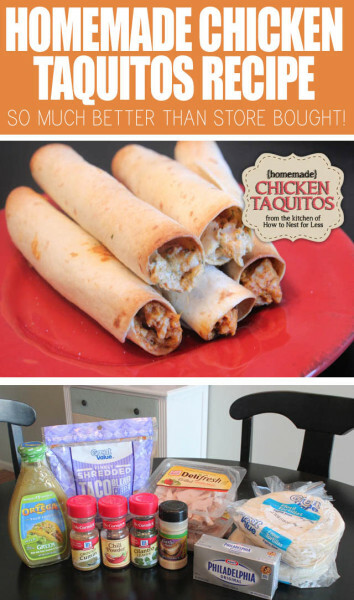 I brought them to a Superbowl party this year so decided I’d share the recipe with you! 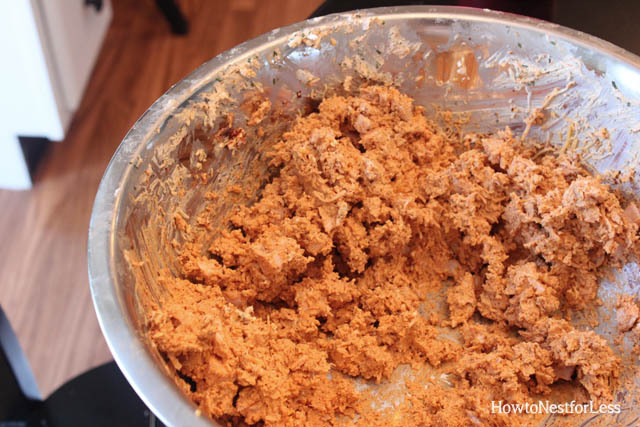 Combine softened cream cheese, salsa and all the spices with your mixer. Next shred the chicken into tiny pieces. Add chicken and shredded cheese into bowl and mix again. Scoop about 1/3 cup of mixture into each tortilla and spread evenly across the length towards one end of the tortilla. 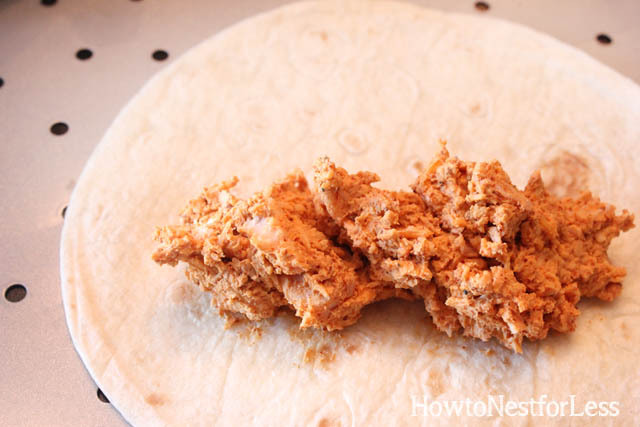 Then roll up the tortillas tightly and place on a cookie sheet. 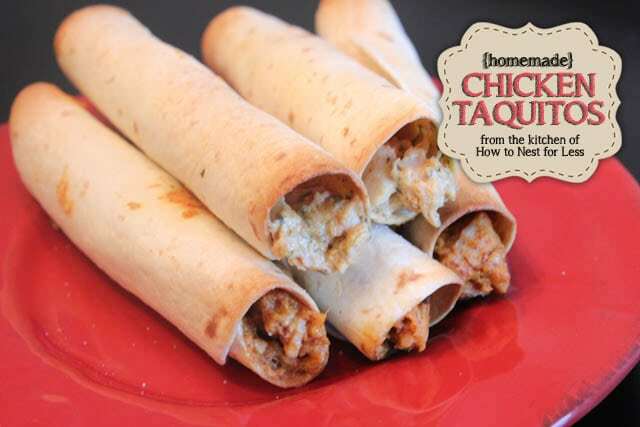 Leave a little space between each taquito so they don’t stick together when baking! Bake on 425 degrees for 15 minutes. Sprinkle with a dash of salt to taste. These were a super big hit at the Superbowl party! Thanks Shannon. You’ll love them! Mexican is my favorite too – wish they were on my plate for dinner tonight! I LOVE Mexican food!! I would eat it all the time but my family doesn’t agree. Thanks for the delicious recipe! These do look amazing. 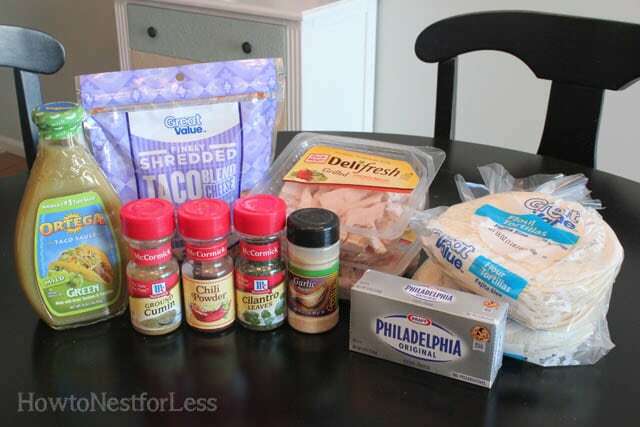 I keep buying ingredients to try and make my own, then chicken out (no pun intended, lol). How hard are they to make?